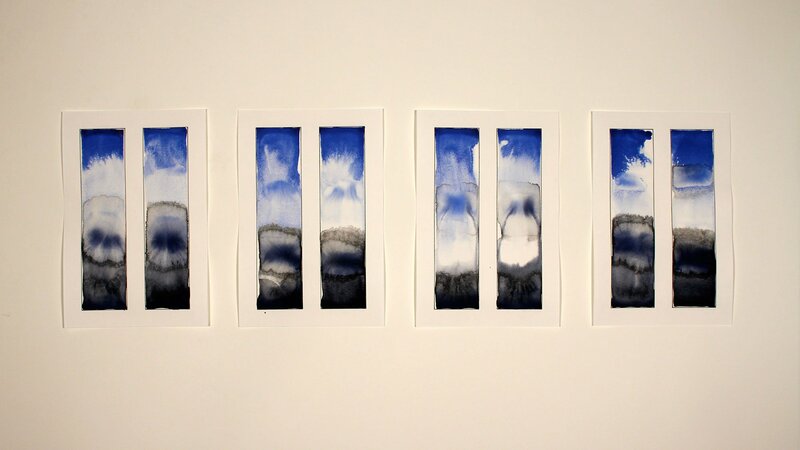 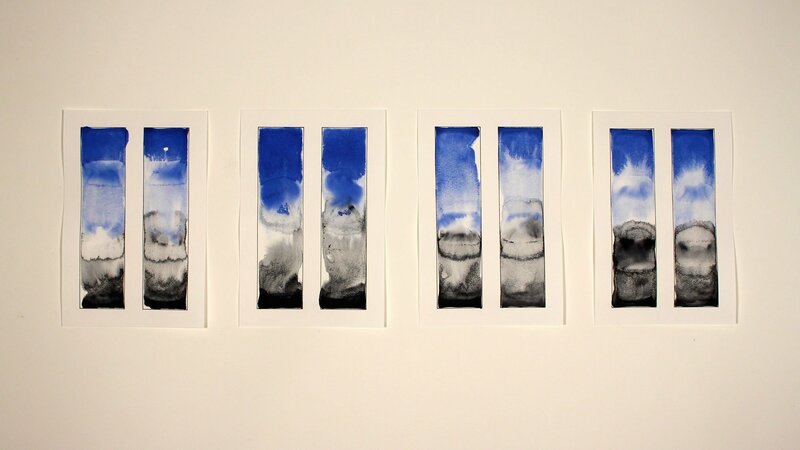 This series of watercolors and ink on paper were originally not meant for presentation. 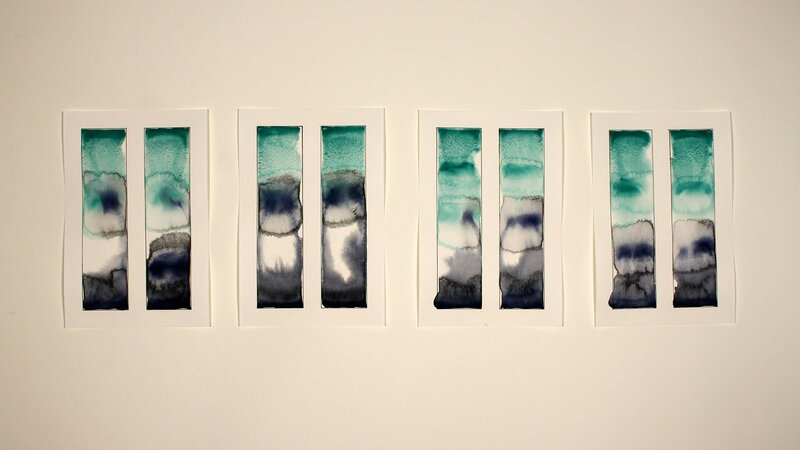 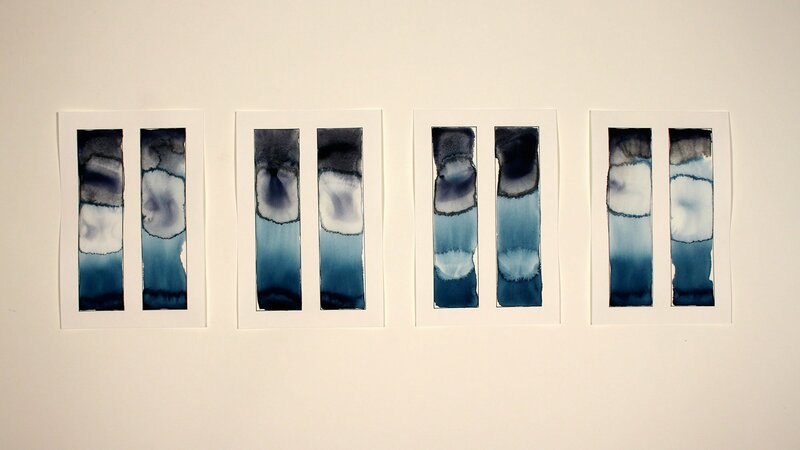 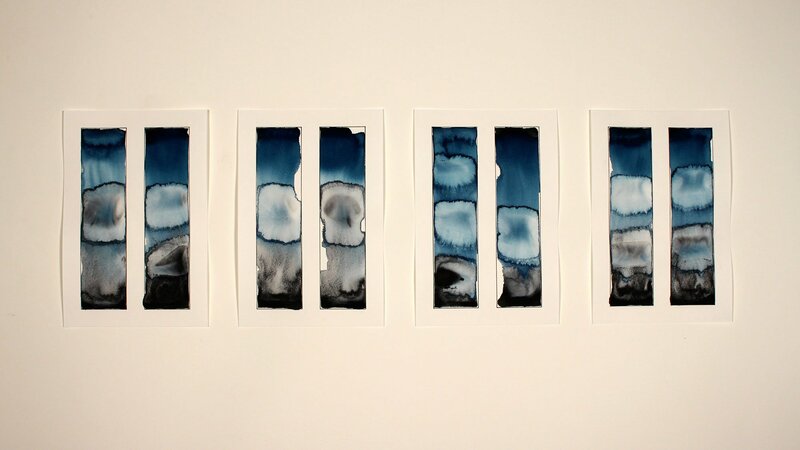 These simple tests were meant to explore color pairing, pigment density and pigment interactions in standing water. 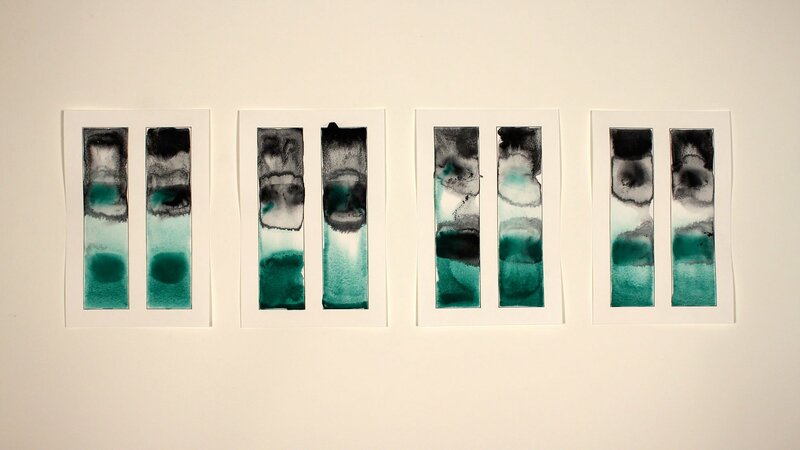 But as the base coat of water was applied, each page took on its own character as the water saturation curled and warped the pages. 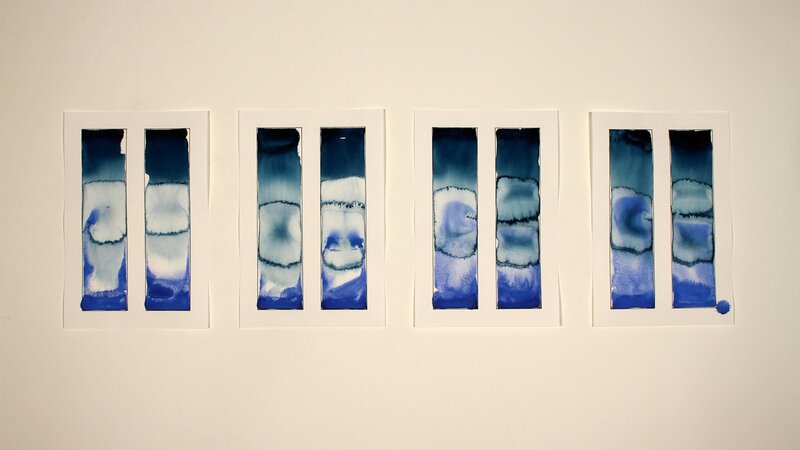 Each piece is defined as a set of 4 by its unique color pairing. 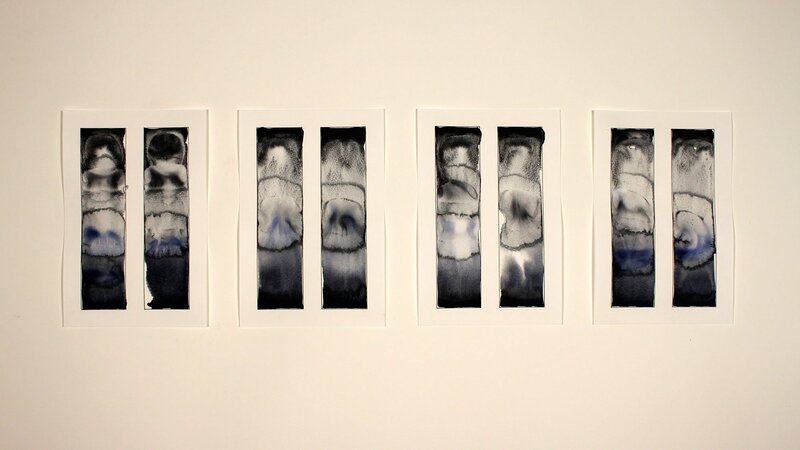 These groupings then transformed themselves into strangely precious individuals that shared a common heritage.